The Orchestre symphonique de l’Isle is an ensemble from Montreal comprised of more than 70 musicians. It has been performing three concert programs per year since 2001 and has made a name for itself as one of the best community orchestras in Canada. The OSI is made up of semi-professional musicans from a variety of professional backgrounds. Founded in 2001 by Dominique Piotte, the Orchestra was first conducted by Stewart Grant (2001-2002) and Daniel Myssyk (2002-2004). Since 2004 the orchestra has been under the direction of Cristian Gort, a dynamic conductor who, with the help of the musicians and the administrative committee, strives to make the orchestra grow. 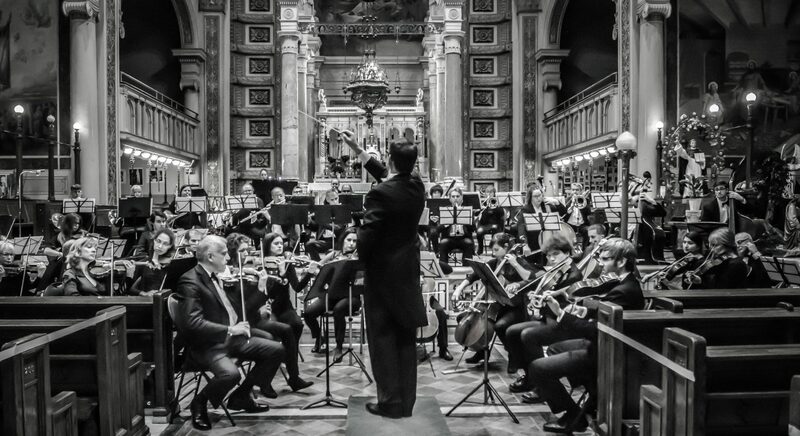 The pieces are rehearsed in a pleasant atmosphere, where the passion of the musicians and the intensity of the rehearsals combine to produce concerts which are warmly received by the public. Through the years, the OSI has developed projects and collaborations with many organisations, among these Festivalissimo, (Passion en rouge et noir concerts), Suzuki Musique Montréal (bi-annual competition to feature young soloists in concert with the orchestra), and partnerships with Concordia University, McGill University’s Conservatory of Music, the Choeur de la Prairie and the Grand Choeur de Montreal, which have lead to many interesting projects.